The Only Free UK Highway Code with All Road and Traffic Signs Valid for 2019. - contains Full UK Highway code. There are no ads and no hidden fees! - is suitable for everyone: beginners and pro road users. - is most useful for those who prepare for their driving tests and want to master all road and traffic signals. - See interesting rule but want to review it later? No problem - simply flag it and get back to it when better times come. - Voice Over. In case you have a reading difficulty or if you don't feel like reading yourself our app can now read EVERY rule of the Highway Code to you! This feature can be turned ON in the Settings. - Super easy search functionality helps you find content in a matter of seconds. - Best in-app navigation helps you get around as easy as possible. No one has ever come that close to giving this much information for free. This is the one and only highway code app you’ll ever need! Download now! - Latest 2019 Highway Code revision. 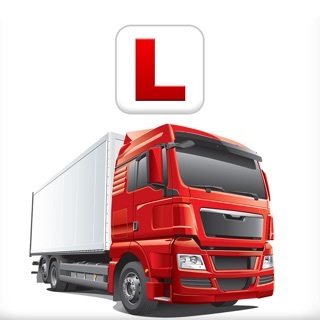 I don’t usually write reviews but this app has give me a better understanding of the theory test. I have used several app before and this is the cheapest on the market yet most effective. Hopefully I pass with this app this time. The hazard part of this app is in too low of a resolution to even determine the hazard but this could be due to my small iPhone 6 screen. I rode a borrowed Vespa around the block about six times in 1966 and passed my test. It failed to start during the test so I had to change the spark plug then the kickstart broke so I had to push start it. All ended well with a good hill start and emergency stop so passed first time. © 2019 Theory Test Revolution®. Contains public sector information licensed under the Open Government Licence v3.0.